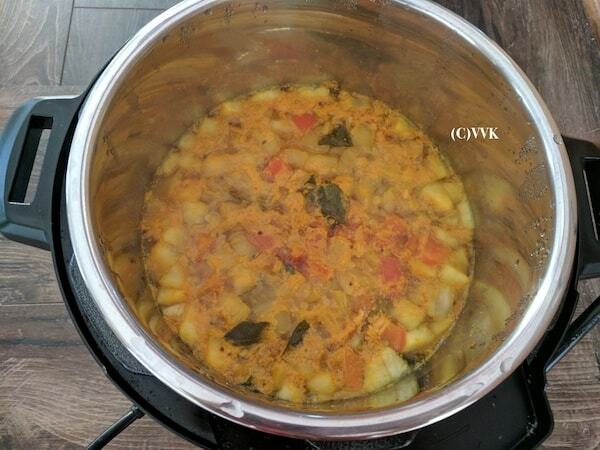 Like sambar and rasam, every household has their traditional family recipe for this pappu. I learnt it from our friend S and modified it to suit our taste buds. It is more like tomato pappu, but with onions, and tamarind. Also, the tempering is slightly different from the tomato pappu. These days I started including ginger and carom seeds in all my recipes as they aid in digestion. 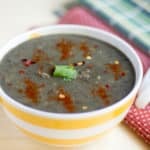 For this recipe, I did add ginger but not the carom seeds. The ginger is entirely optional. I cooked the veggies along with the dal and mashed them nicely. 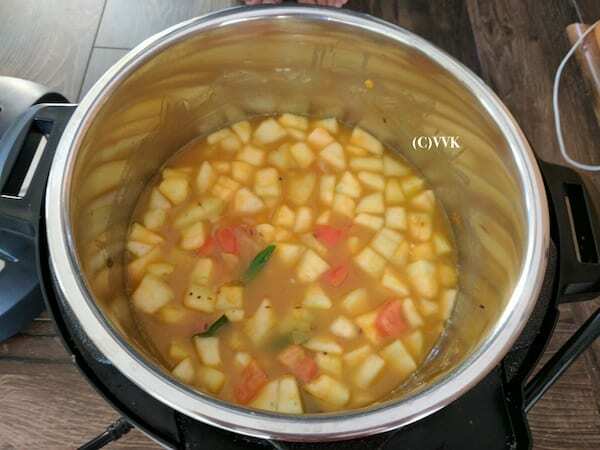 But if you want the veggies to be non-mushy and tender, please cook the dal first in instant pot and then add the veggies and cook for 2 to 3 minutes and do a quick pressure release. Please see the notes for different variations. Oh yeah, forgot to mention, this is vaandu approved recipe, and he loves this with rice and roti too. 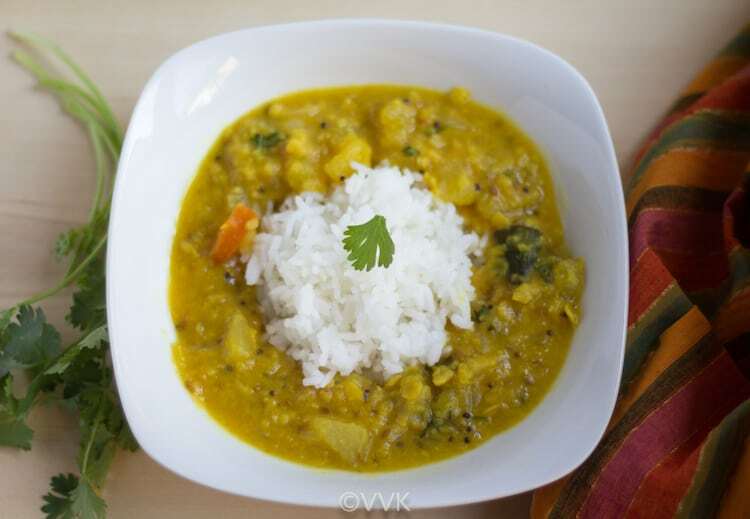 A flavorful Andhra/Telangana delicacy prepared with split pigeon peas, yellow cucumber and with assorted spices. Wash the toor dal and soak it until you chop the veggies. Then drain the water and set aside. Wash and chop the onion, tomatoes, cilantro and yellow cucumber (peel the skin) into small pieces. Slit the green chili into two. If using ginger, cut them into small pieces. Mix 1/2 tsp of tamarind paste in 1 cup of water and set aside. Set your IP in the saute mode and add oil. Once the oil is hot, add the mustard seeds, cumin seeds, and hing. As the mustard seeds start to crackle, add the curry leaves and chopped ginger. Saute for a minute and then add the onion. Then add the chopped tomatoes and yellow cucumber. Mix them all. At this stage add the toor dal. Then add the turmeric powder, salt, red chili powder. Mix them all again. Then add the tamarind water, plus two more cups of water. Stir all the ingredients and set the IP in manual mode and cook for 12 minutes. Let the pressure release normally and once the pressure is dropped carefully open the lid. Set the IP back in saute mode and now add the chopped cilantro. Let it simmer for two more minutes, and that’s it. Dosakaya pappu is ready. 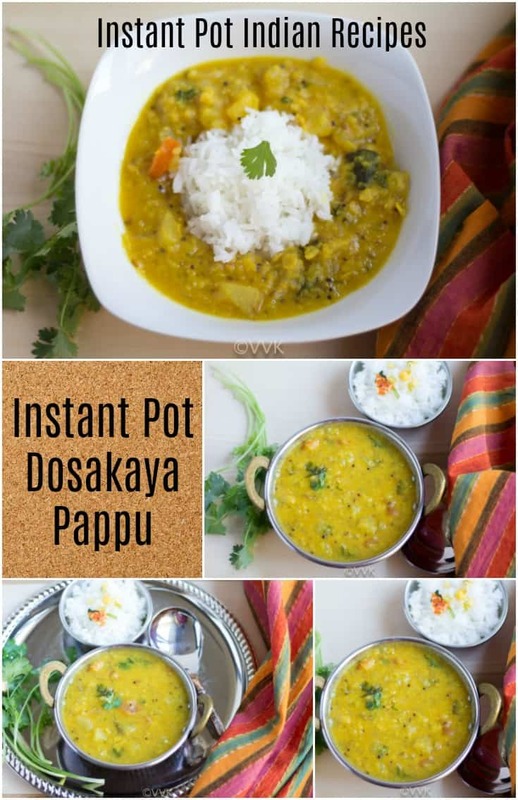 Serve hot with rice and any dry curry. 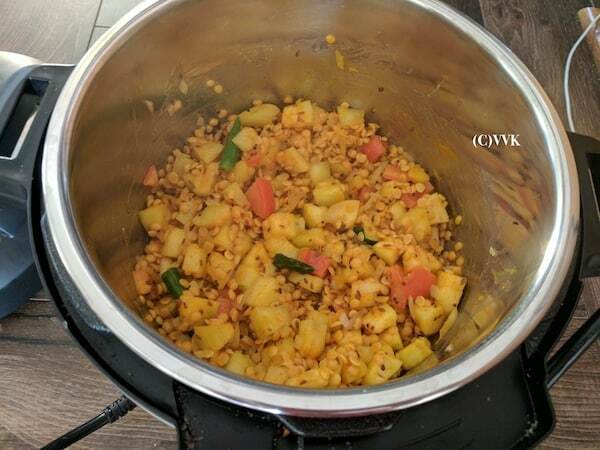 Pressure cook the toor dal along with dosakaya, tomatoes, and turmeric powder by adding 2 cups of water for three whistles. Let the pressure drop and mash the ingredients and set aside. 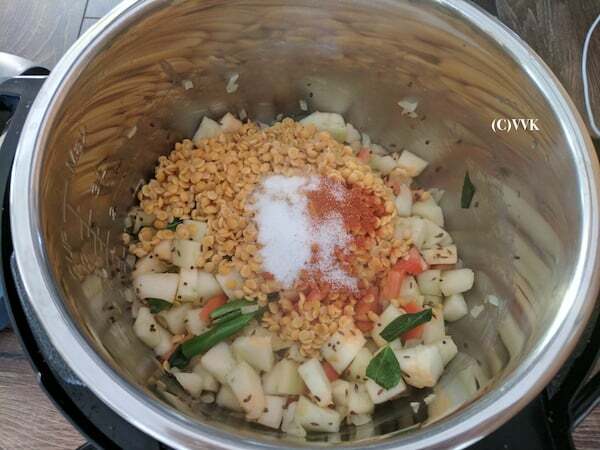 At this stage add the cooked dal, tamarind water, salt, red chili powder and mix them all. Let this pappu mix simmer for 5 minutes and then add the cilantro and bring it to a boil. That’s it. Dosakaya Pappu is ready. 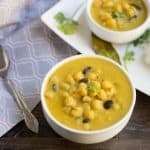 If you don’t want the cucumber mushy, cook the dal separately either in the pressure cooker or instant pot. Once the onion turns translucent, you can add the cucumber along with tamarind water, and salt. Let it cook until the cucumber is tender. Then add the cooked dal and other spices. 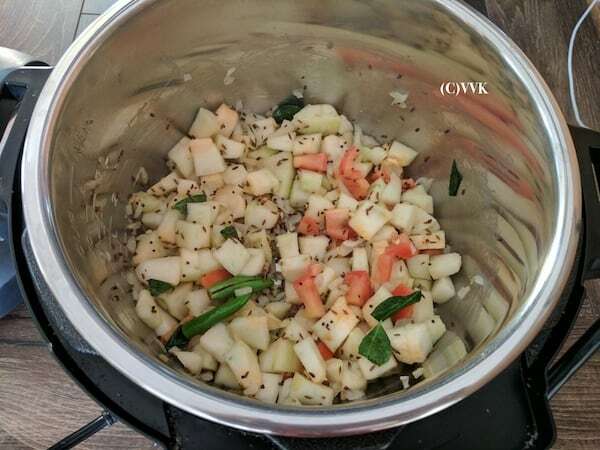 If using instant pot, after adding cucumber either you can use steam mode or manual mode with quick pressure release for cooking the cucumber. I did not add any garlic. But you can add two to three cloves. As I mentioned above ginger is entirely optional. Set the IP back in saute mode and now add the chopped cilantro. Let it simmer for two more minutes, and that's it. 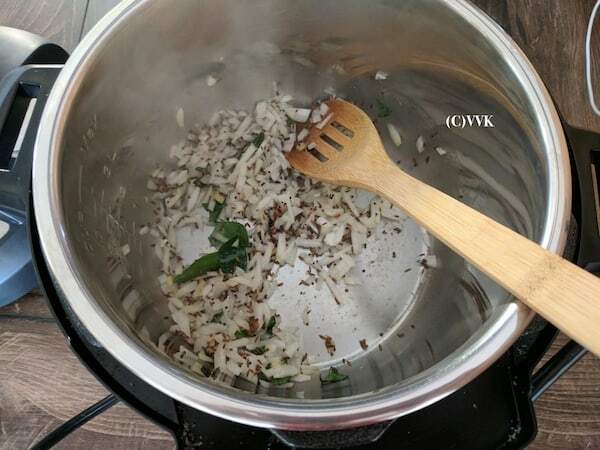 Let this pappu mix simmer for 5 minutes and then add the cilantro and bring it to a boil. That's it. Dosakaya Pappu is ready. 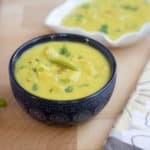 If you don't want the cucumber mushy, cook the dal separately either in the pressure cooker or instant pot. Once the onion turns translucent, you can add the cucumber along with tamarind water, and salt. Let it cook until the cucumber is tender. Then add the cooked dal and other spices. For me andhra meals means either gongra-pappu or dosakaya-pappu is mandatory. Nicely done. For me if its Andhra meal, i cant think more than pappu, especially Dosakaya pappu, such a comforting pappu Srividhya, inviting me. Oh yes same with me when it comes to Andhra Meal. Thanks Priya. We get a different variety of this cucumber, but have never used it in cooking. 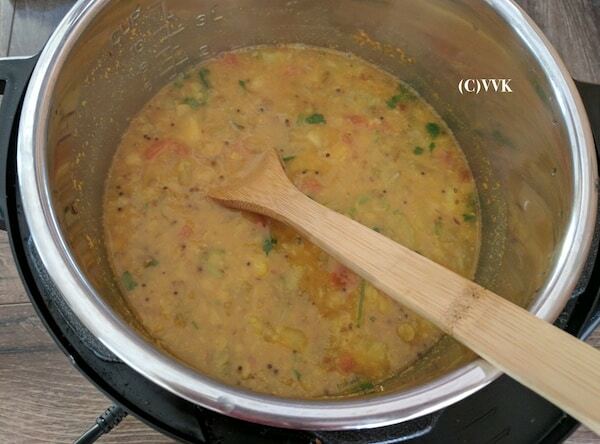 The addition of ginger in dal is my fav as it gives a nice flavour. Rice and dal is my comfort food any time..
During my last visit to Bangalore, the sabji wala brought these yellow cucumber and I was really intrigued by the size and colour. Never used or seen yellow cucumber. Next time I see it I know what I’m going to make :) this delicious dal. I could never find the yellow cucumbers here but I loved them. The dal looks so delicious. Thanks, I get them here in the Indian Stores Sapana. Fantastic dal and I so love this..as you said we mostly make this for Rice..and it surely makes a filling meal! The only think I made with this doas kai is dosa and use up in sambhar. 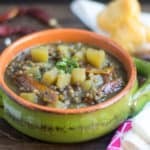 I love this dal that you have made and will make it soon. I have never used this cucumber in any of my cooking , perhaps these are a specialty of South . 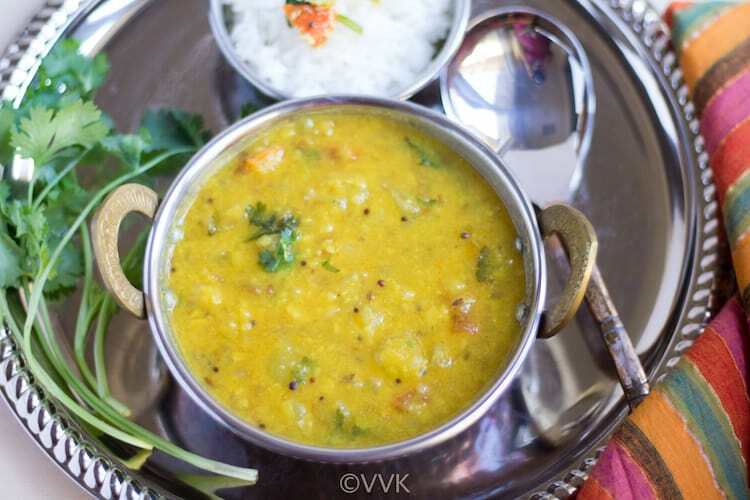 The daal looks great and makes a perfect protein Rich meal . 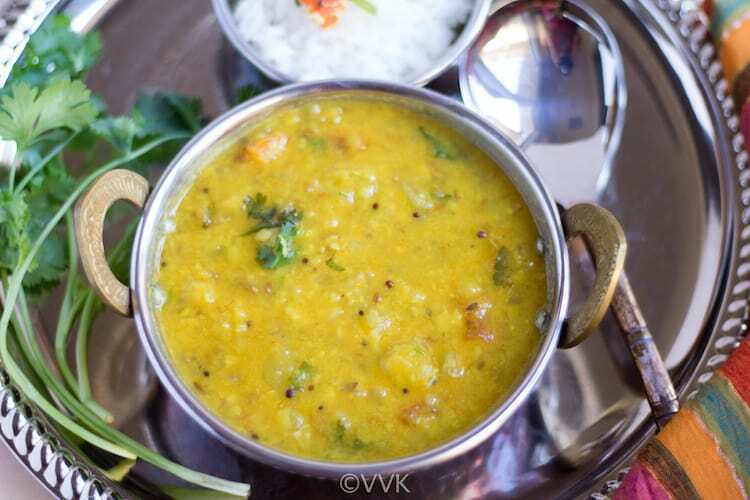 One of my fav dish from Andhra cuisine and looks with drool worthy.. Rice and Dal just a combo to die for..